MOSHIMOSHI NIPPON Ep. 10 | jibtv.com | Japan International Broadcasting Inc.
Today's keyword is "K" for kingyo. Kingyo is the Japanese word for goldfish. For centuries, people have praised these fish for the beauty and have created new species over the years through crossbreeding. 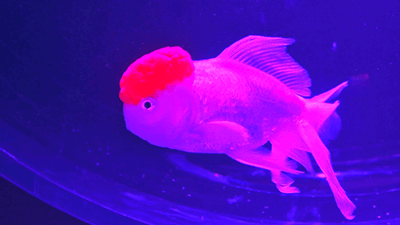 Goldfish breeding began in China but was banned during the Chinese Cultural Revolution. 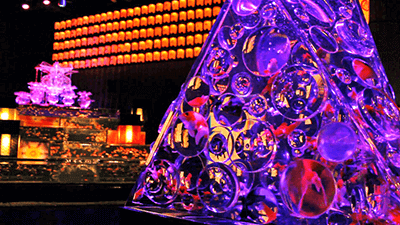 The tradition, however, was picked up by Japan, where it has developed into a sophisticated art form. 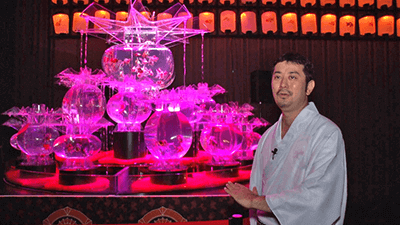 In this segment, Hidetomo Kimura takes us behind-the-scenes of his goldfish exhibition ECO EDO Nihonbashi Art Aquarium 2014. Our correspondent for this segment is Quentin Weinsanto, a French journalist who has been in Japan for three years. As a journalist, he covers French news, French community news in Japan for a news website. Quentin's favorite thing to do is practicing Zazen, the basic form of Zen Buddhists’ training that involves finding inner peace while sitting. Quentin takes us to Tokuun-In temple in Ueno, Tokyo, where he receives Zazen instruction from Canadian Zen practitioner Wez Jhorne. Today's topic is Emoticons! Emoticons are a series of punctuation used to convey intonation or emotion in text messages. In Japan, emoticons have been widely used as replacement for letters ever since the Internet became available. Japan's free communication app LINE offers many emoticons called stamps and is used by more than 500 million people around the world. You can make a set of your own stamps, too! ICHIYA explains the origin and evolution of Japanese emoticons.